Good size (32”) for children who want to have their own hockey stick or just want more practice or even learn to play hockey. Ranger hockey stick. Be the best at hockey 🏑. Slazenger Ikon Junior Hockey Stick Size 32"
Kookaburra Thunder Wooden Hockey Stick Sizes 30" 32" 34" 36.5"
The stick has been crafted with carbon and fibre glass which makes it lightweight, strong and durable. Junior Hockey Stick. 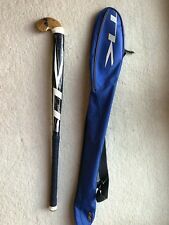 Hockey Stick 32" with carry bag hardly used bargain. Dispatched with Royal Mail 2nd Class. Grays Hockey Stick Hype Maxi 45. Stick has been used - still lots of life. 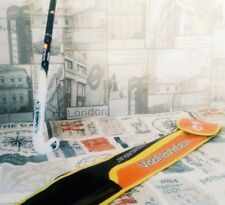 Kookaburra Fever Yellow Hockey Stick New - Available in 32" and 36.5"
Slazenger Panther Shadow. Length: 32". weight: 0.4Kg. 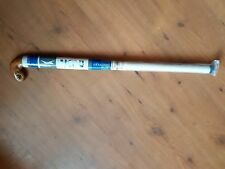 KOOKABURRA SABRE bow style pvc coated wood in very good condition. Kookaburra Hockey Stick Clone 35 is New. Dispatched with Royal Mail 2nd Class. Kookabuura Matrix Fever. Length: 32". 2018 Kookaburra Blush Junior Wooden Hockey Stick Size 28" 30" 32" 33" 34" 36.5"
Kookaburra Illusion 1.0 hockey stick - Brand New - 32" - Shop Soiled.